I do notice that kid's literature is not a winner here. However, it gives a great overall snapshot of what is going on beyond our dashboards. Romance and Box Sets seem to be the most loved out there. We can never have too much data, so thanks for the great work you are doing and never seem to stop! Great job. Innovative and insightful as always. I must agree with Marie Seltenrych on the under-representation of children's books in the data. I always look, I never find. Also, many data points do not apply to children's books, infact, could skew data (eg. word count data analysis) But there's always something interesting to be learned in these surveys. Thanks. Great job with the survey! Is there a download link? The Slideshare version is cutting off the bottom part of the slides. and promotion is the key. way to make things happen. Thanks, Mark. Great start to my day. Only seeing gibberish in the box, used two different browsers (Firefox & Opera). Thank you, Smashwords and Mark Coker, for your insightful data. Your hard work is much appreciated. I would love to see these numbers normalized for non-romance titles, so those of us who don't write romance can perhaps learn something from them. Several of the things pointed to here, I know from personal experience do not work in scifi or urban fantasy. Romance is a very different field, because the readership is very different. So would it be possible to see the results without romance (the admittedly big dog in publishing) skewing the results? Because for non-romance writers like myself, this really isn't very useful. Thanks for an excellent, in-detail analysis, Mark. Obviously I need to write a series LOL. 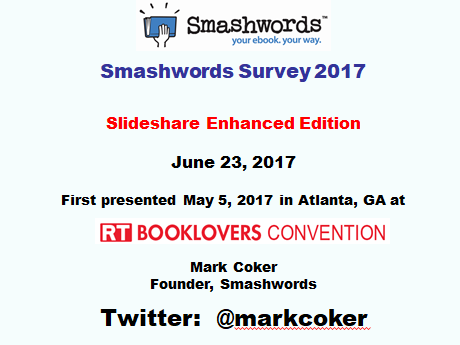 Mark, why do the number of titles distributed by Smashwords (slide 16) not match the data published by Bowker? 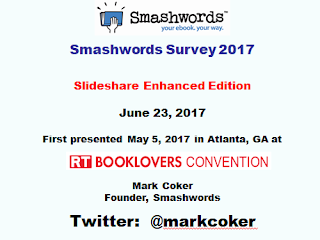 For example, according to slide 16, in 2015 Smashwords added 51.6k new titles (388k - 336.4k = 51.6k). Bowker's table on page 6 says Smashwords added 97.2k new titles in 2015. At the bottom of page 6, they write "2014 and 2015 figures provided by Smashwords on 2/27/2016". Roughly how many copies would a book have to sell to be in the top 200 books on Smashwords? Thank you for your annual survey! I am hopeless at being efficient and gathering data so I thank you, Mark for doing this. It helps! Thanks, everyone. Glad you're enjoying this. @Marie, thanks for those kind sentiments. Will you come be president of the US? We need help, desperately. @ Rebecca, I’m hoping for the day children’s books can hit our bestsellers. These books face a few challenges, some practical and some technical, that make it a little more difficult. But not impossible. Most ebook sales are adult fiction, since adults buy most books and fiction is almost 100% narrative so it works well as reflowable books. Romance readers have higher book consumption since they’re prolific readers, so that gives them some advantage along with the other advantages mentioned in the Survey. I meet a lot of children’s authors who struggle to realize the vision of their print book as a digital version, especially when it’s a children’s book that’s image-heavy, large format dependent and has text embedded within the images (some books do best as print!). But that said, with some creative reimagining, most children’s books I see could be realized as reflowable ebooks with a small amount of work. And then I could see series and free series starters working really well for parents who’d want to read to their children, or who’d want to let their children try a new author for the children who are ready to read. But all these “ifs” conspire to create friction that ultimately disadvantages many children’s book author. If only all kids had credit cards! @kayleighpatel – YES! If you click the little “in” icon in the lower right of the embedded frame of the slides above, that will take you to Slideshare where you’ll see a button you can click to download the presentation. It’ll try to get you to “clip” it but you’ll see an option to download it anyway. @ Pat - sorry, maybe I’m being dense and don’t understand your question. What’s DMR? @Floyd, if the slides look like gibberish… hmm… Maybe your best option is to download the full presentation (instuctions in my answer to Kayleigh above). Sorry about that. @Karen, Re: bowker, that’s probably based on how they do their survey. For that 2015 Bowker study, I think they looked at the number of titles we released that year, regardless of whether those titles are still active. In our chart, we report at the net number of titles released which = (new titles added – titles removed + previously removed titles that returned). That number is also displayed real time 24X7 on our home page. We can thank KDP Select for a lot of that churn. Re: sales of #200, sorry, that’s one bit of data we don’t share. We share more data than anyone but not that. digital rights management. any comment? 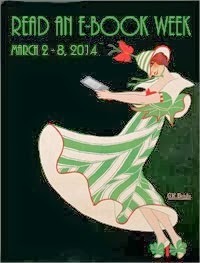 Personally, I'm hoping schools go ebooks. That get the tech in their hands; asking a teenager not to entertain themselves with it too will be the worst possible kind of wishful thinking. and hacked texts here. Betcha. not really SF tho, is it? @Pat/Kevin, we didn't look at DRM in the Survey. All our books are DRM-free. Thanks for all of the useful info here! I've already learned a couple of things I could do to improve my sales and I am so thankful for all of the hard work you put into helping us get a read on what's happening in the industry. I am one very happy Smashwords author! Thank you so much for the eye-opening survey. It really gives a guideline that I can use in my work. Absolutely priceless!!! any information on Non fiction? Or did I miss something in the survey other than non fiction is a small market? @Alan, I didn't dig deep into Nonfiction this year other than the top categories you see mentioned and the general percentages. A couple years ago we looked at price points for nonfiction (highest downloads, highest earning) and the big takeaway is that NF authors should not be pricing like fiction. The higher price points work better. Maybe I'll do more with NF next year. The challenge is that even with ~100 slides, there are still so many more questions I could have asked but not enough weeks in the year. I tried to focus on questions that would yield useful data for the greatest number of Smashwords authors and publishers, thus the fiction focus. Thanks for checking it out! Mark...thanks for the reply. Any chance you could post the non fiction study again...or could you e mail it to me? 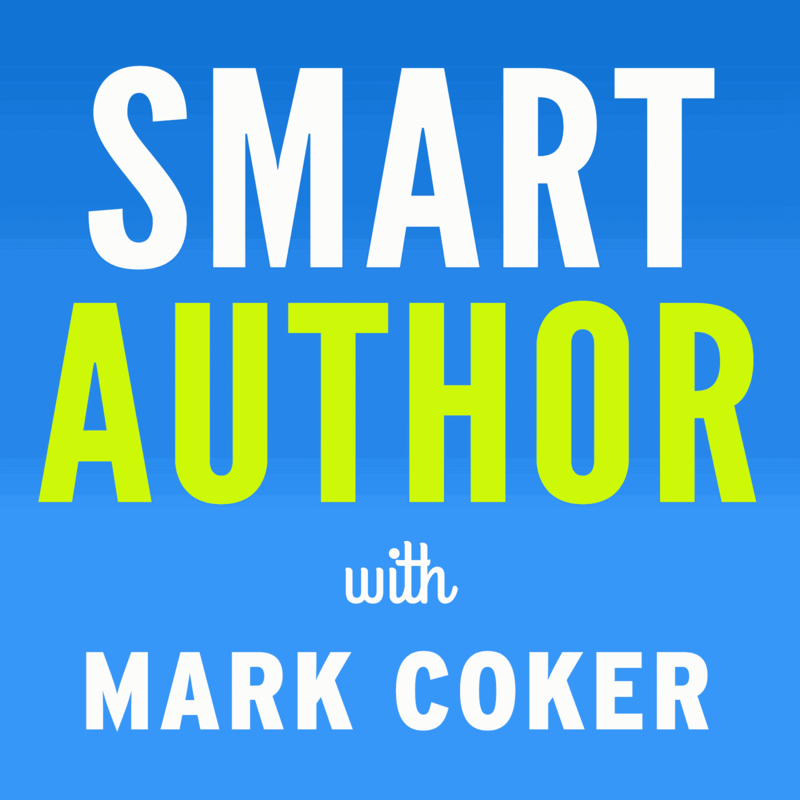 Thank you, Smashwords and Mark Coker, for your insightful data. I was going to ask the same question as J Van Stry, but since someone else beat me to it, let me just say that many people would appreciate this info. Slide 32 indicates that Fantasy has 1/3 of the non-Romance sales, and adding in SF, which is often lumped in with Fantasy any way, brings SF/F up to more than 44%. It would be nice to show these categories some love in next year's survey! Please include Time Travel, which one of your slides lists as a separate category for some reason (It's Fantasy if the time travel doesn't have a plausible scientific explanation, and SF if it does.). Great work mr Mark i really enjoyed going through the survey. I got a lot of insights and challenges.I belong to the Christian category which is not reflecting very positively and I just feel I need to pull up my socks or should I say we have a long way to go as Christian writers to gain readership on these platforms. And if you allow me I have a pertinent preoccupation to present. as an African writer I see that the journey to international success is a very imposing one.firstly it is almost difficult to have an account on many of these platforms and secondly the payment system is a frustrating hustle. We are obliged to sell our books for free though i really appreciate your efforts at smashwords. If you could help sir. Great survey. Your hard work is much appreciated. Thanks for this report. I read through this whole blog post. I am in the second volume of my series now. I'll make it around the recommended 110,000 words. I don't understand why romance is so popular though. Responding to the podcast about 1.99 being the danger zone, I think the lack of 1.99 success is a remnant of the 70% threshhold for the 2.99 price on Amazon. For the record, I have purchased 4 separate ebooks at the 1.99 price point on Amazon over the past two weeks! On SW you can do 2.99 and use coupon codes too for buying direct from SW.
About pre-orders, I'm skeptical for unknown authors. Pre-orders are things which established authors do -- banking on a known brand or subgenre. The ability to do pre-orders means that you have an established author or series and that you have a sensible marketing schedule. I doubt pre-orders are what is responsible. Maybe on Amazon it matters more because it increases the likelihood it will be in the bestselling list for that genre. I love your survey and I do base many marketing and writing choices on it. I am still trying to convince myself that free for the first in my series is better than 99 cents. I switched to 99 cents from 3.99 for the first in my series, and I'm seeing an improvement in sales. I did this because of last year's survey. I wasn't quite ready to go free. You have data indicating that free gives more profits overall than not free. I won't argue that. However, I think for next year, it would be very interesting to compare free vs 99 cents for the first in a series. I am guessing the improvement by switching to free from 99 cents will be less dramatic than going from 3.99 to free, if indeed there is improvement, because by lumping all paid into the analysis, you might obliterate the possible fact that 99 cents is actually better than free, by burying it in with all pricing. How about gathering that data next year? Thanks. Hi Robert. Since we're only distributing about 1/1000th of our titles to Amazon, Amazon's 35% royalty rate wouldn't be a factor for the poor performance of $1.99. All our retailers pay full agency for $1.99. Preorders can work for new authors too, if for no other reason that it means more months of shelf space and more effective advance marketing. And if the new author has other titles, they can leverage price promotions on the other titles (like limited time free) to drive readers to the preorder. Lots of fun stuff authors can do with preorders. Hi Maggie. On Slide 87 there's a graph that compares earnings for series with different series starter prices. It indicates that on average, a series with a free SS will earn about 3X more than a series with SS price of $.99. But averages are dangerous so your results may vary. In the meantime, there's no harm in you trying a free series starter for a week or two or three to see if it makes a difference for you. If it works for you, great, and if not, no harm. Thanks. Sorry to post on an earlier thread, but I wanted to respond to your response -- because it is so crucial! When you sign up for Amazon's KDP, I'm pretty sure that Amazon requires that you guarantee that the price of your ebook on Amazon will be the lowest possible price on the market. If you're going to take advantage of the 70% royalties, you need your Amazon price to be 2.99 (and your SW price, etc), so it's only natural that Smashwords would mirror Amazon's pricing floor. Amazon isn't particularly good at verifying this (it depends on visitors reporting it), so I imagine authors could get away with pricing SW titles lower than they do on Amazon. Also, as you know, SW's coupon codes are a great way to circumvent this requirement. (Sorry, one more comment. I realize that your company is not focused on direct sales, but the SW website is terrific for letting you filter/sort/discover titles -- 100 times better than Amazon. I recently spent several hours trying to understand Amazon.com's kindle store portions of their website and conclude that it is dreadful about helping people to find interesting titles. (I'm mainly referring to their Bestseller lists and their Browse by subject, etc....) It sounds counter intuitive, but aside from user reviews, author central and "Also Boughts" on Amazon, it is almost always easier to discover interesting indie titles on SW than Amazon, not so easy on Amazon. @PJSkinner, we didn't analyze the most effective price points for the second book in the series, though based on the other findings related to pricing, I'd guess something between $2.99 and $4.99. But the most important factor here would be book one's ability to draw the reader in and earn the reader's trust, admiration and interest. We should assume that most readers who are downloading the free series starters don't yet known you, and therefore don't trust you. Your opportunity with book one is to earn and deserve their trust. Once you earn the reader's trust - once they view you as a superawesome author - then the price of the follow-on books are less relevant. @Robert - Yes, I think Amazon's royalty treatment of $1.99 ebooks (35% list vs. 70% list for $2.99+ prices) reduces the number of people using $1.99. Though in our analysis, we normalized the data to understand the average unit sales and earnings at each price point. I suppose one take away is that if $1.99 decimates the average downloads and earnings for Smashwords authors who earn 60% list with $1.99 (vs. Amazon authors earning 35% list), then the negative impact for authors at Amazon is probably even more pronounced. One possible variable that I can't account for, however, is the possibility that Amazon might give $1.99 titles more visibility that other retailers. I don't know if they do or they don't, though since Amazon's takes 65% list on a $1.99 title as their commission vs. 30% list for other retailers, it's possible Amazon might have more economic incentive to make $1.99 titles more visible. But I really don't know. Great to hear you appreciate the discoverability and filtering tools in the Smashwords Store! One other difference between our small store and Amazon's massive store is that we don't give artificial visibility to certain Smashwords titles over others, whereas Amazon gives preference to Amazon-imprint titles and KDP exclusive titles. Good luck with your review site!